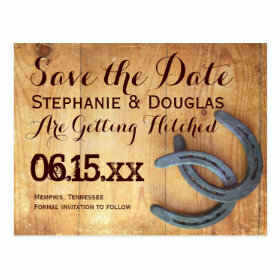 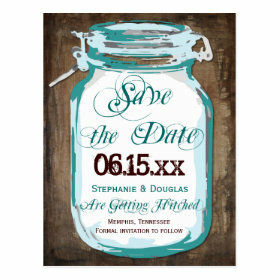 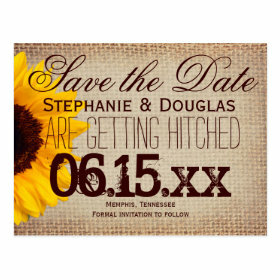 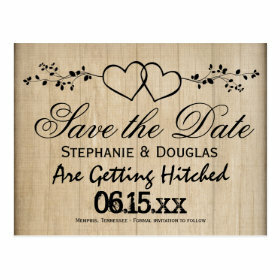 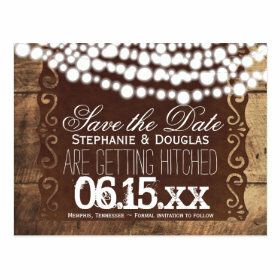 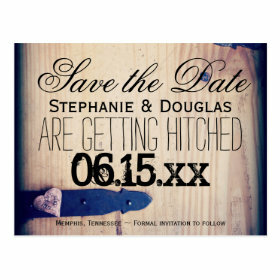 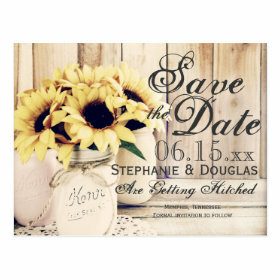 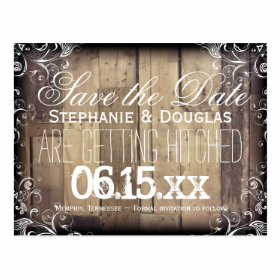 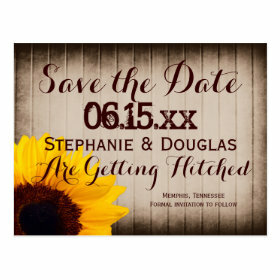 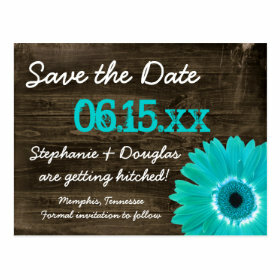 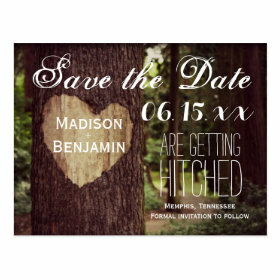 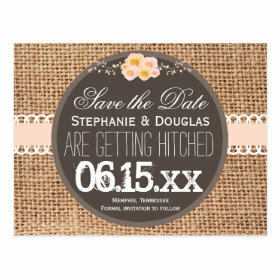 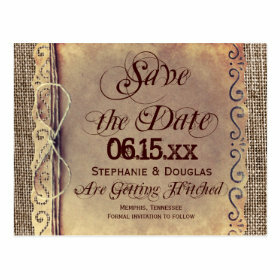 Beautiful Rustic Save the Date Postcards with rustic, vintage, and country style designs. 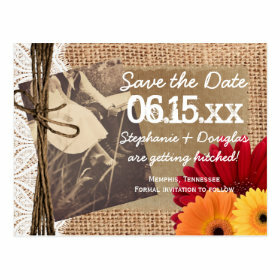 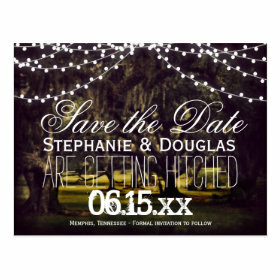 Personalized these rustic save the date postcards with your own wedding date, bride and groom's names, and other information. 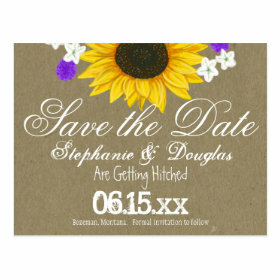 Add your return address to the back of the postcard. 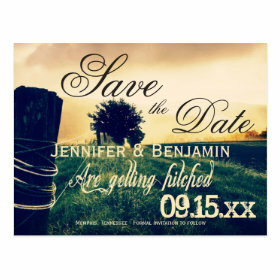 You can even upload your own engagement photo to make a unique custom personalized save the date postcard.